Start a new chapter with Ever After High, where the teenage sons and daughters of famous fairytales decide whether or not to follow in their parents' fabled footsteps. Cerise Hood, daughter of Little Red Riding Hood is a bit of a lone wolf but is fiercely loyal to her best friends forever after! One of the Ever After Rebels who supports Raven Queen, she wants to rewrite her destiny in a big, bad way. 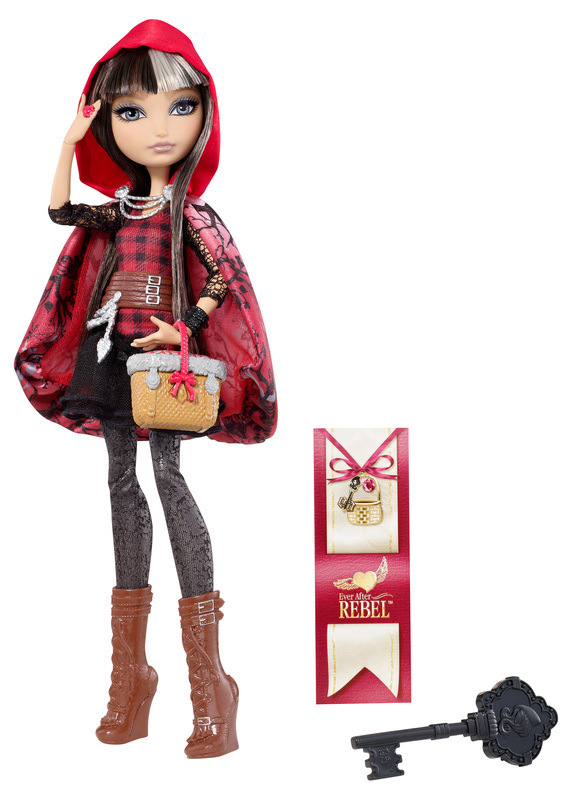 Cerise doll rocks hexquisite outfits that add a modern edge to her fairytale-inspired look. Her charming dress showcases Cerise's signature buffalo check print with its silver foil lace sleeves. 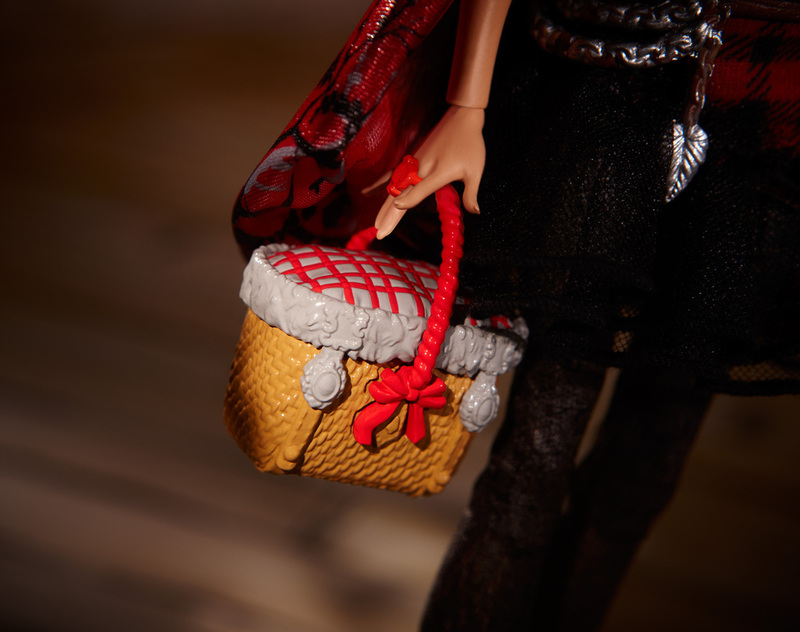 Distressed “leather” leggings, lace-up boots with fringe tassles and a picnic-basket purse are enchanting accessories. And of course, Cerise doll wears her luxe cape - satin red with a branch print, chain brioche closure and hood (to hide her big, bad secret). 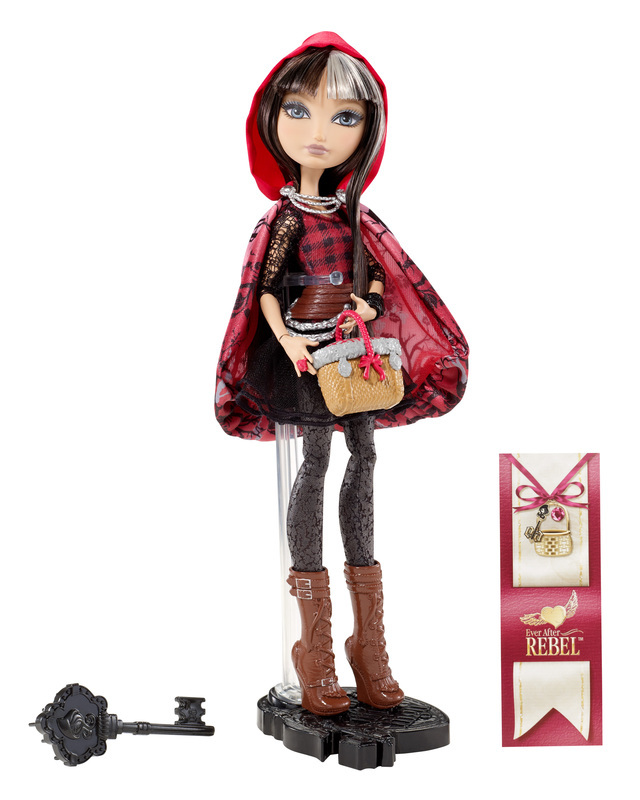 Cerise Hood doll also comes with a doll stand, doll hairbrush and bookmark that tells her hexclusive side of the story. Ages 6 and older. Cerise Hood, daughter of Little Red Riding Hood, rocks hexquisite outfits that add a modern edge to her fairytale-inspired look. Her charming dress showcases her signature buffalo check print.o Distressed “leather” leggings, lace-up boots with fringe tassles and a picnic-basket purse are enchanting accessories. 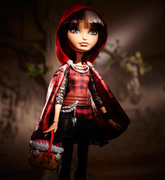 Of course, Cerise doll wears her luxe cape with hood (to hide her big, bad secret). 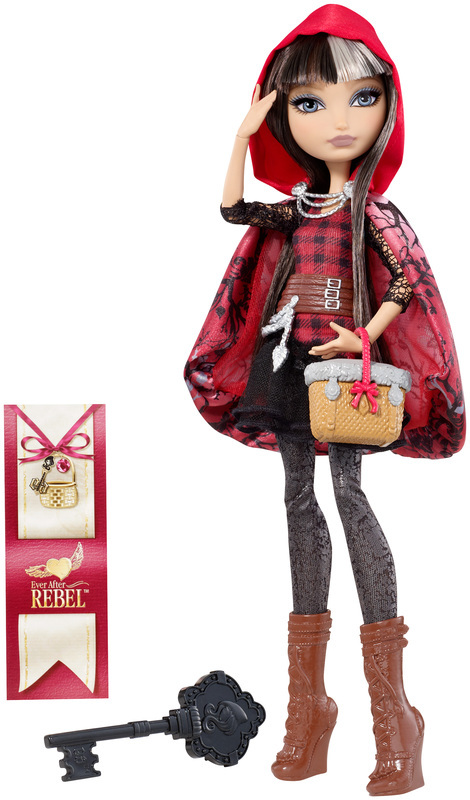 Doll also comes with a doll stand, doll hairbrush and bookmark that tells her hexclusive side of the story.